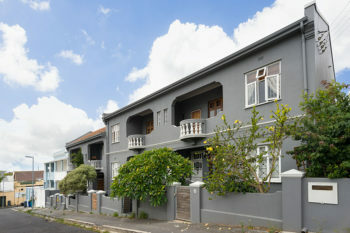 A quaint and charming centrally situated bachelor apartment, on the corner of Hill and Antrim Roads on the boundary of Green Point and Three Anchor Bay, in Cape Town. 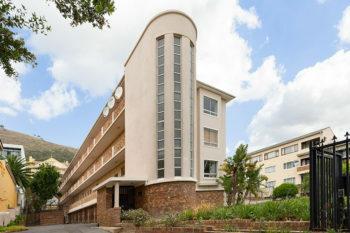 Entry to the apartment is via stairs only. 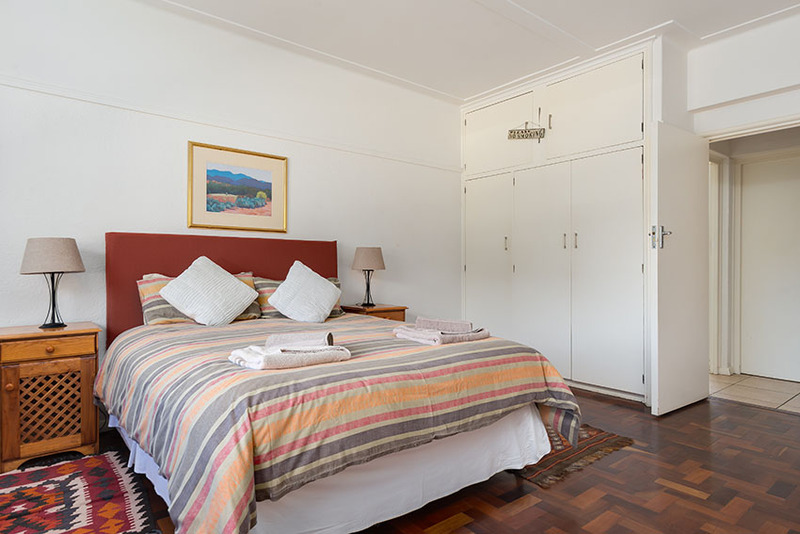 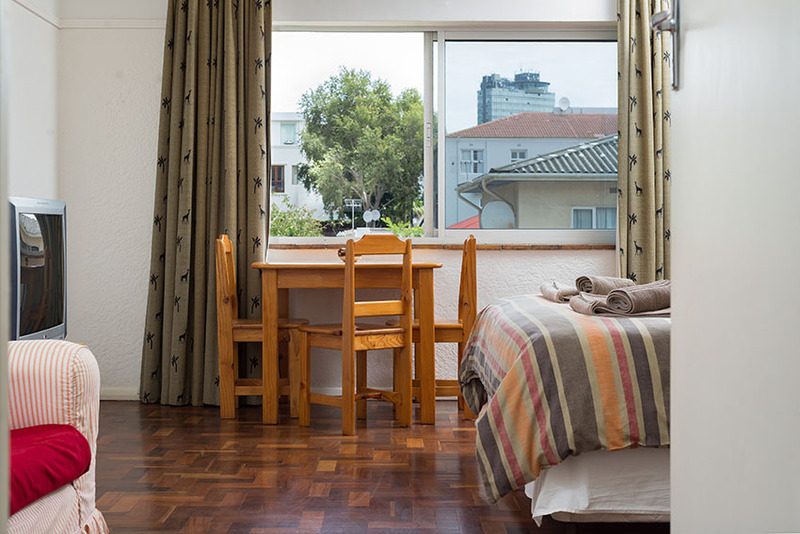 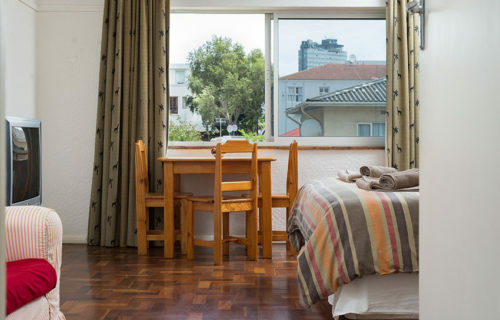 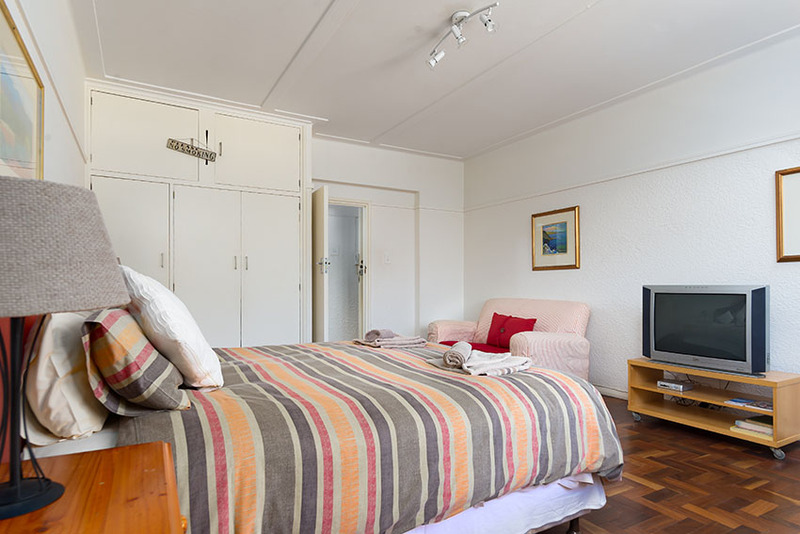 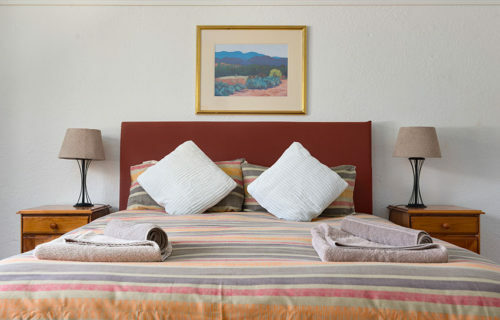 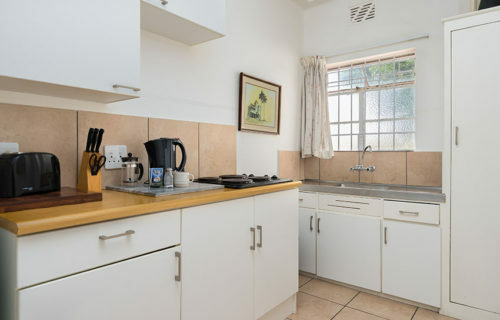 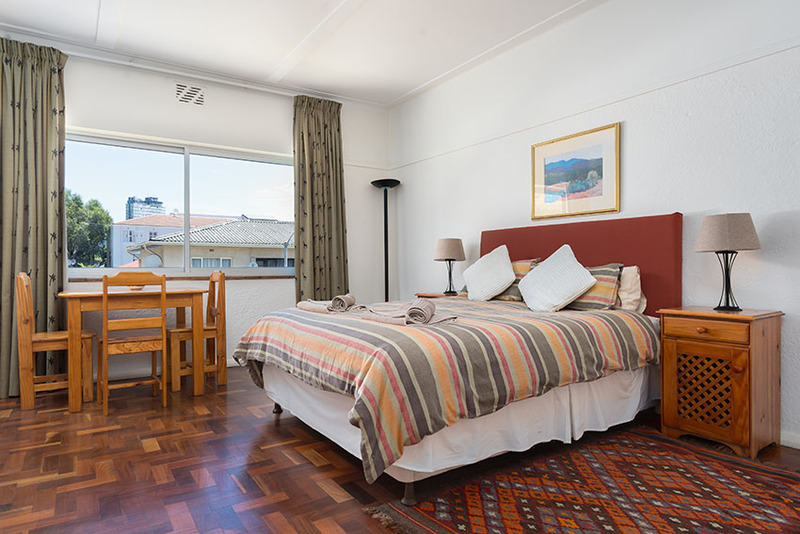 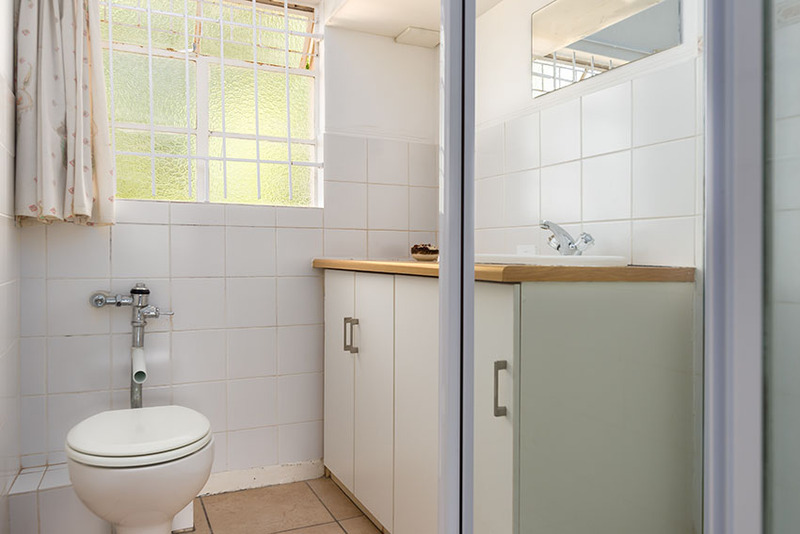 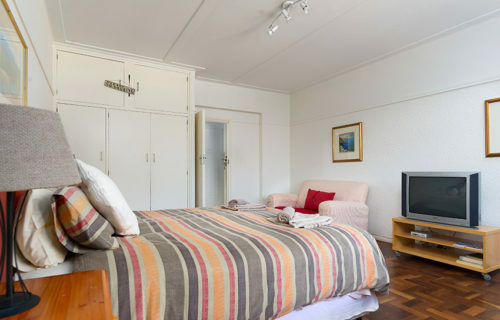 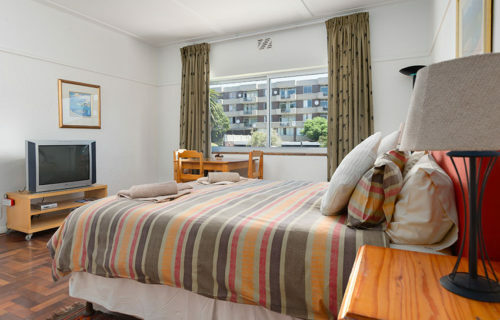 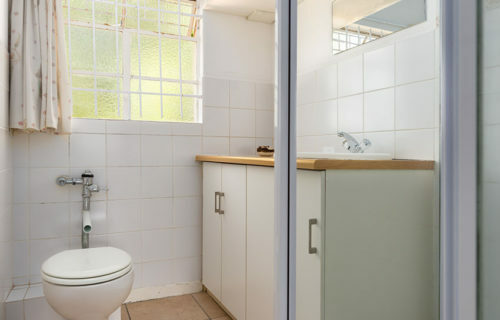 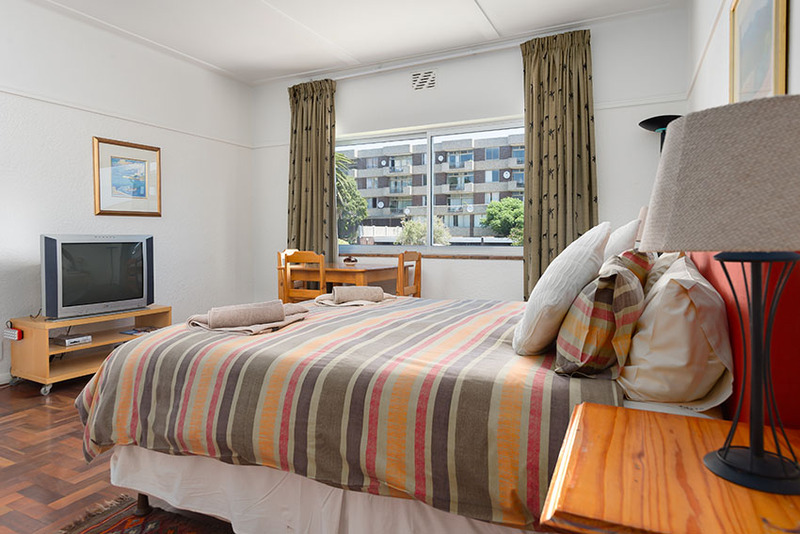 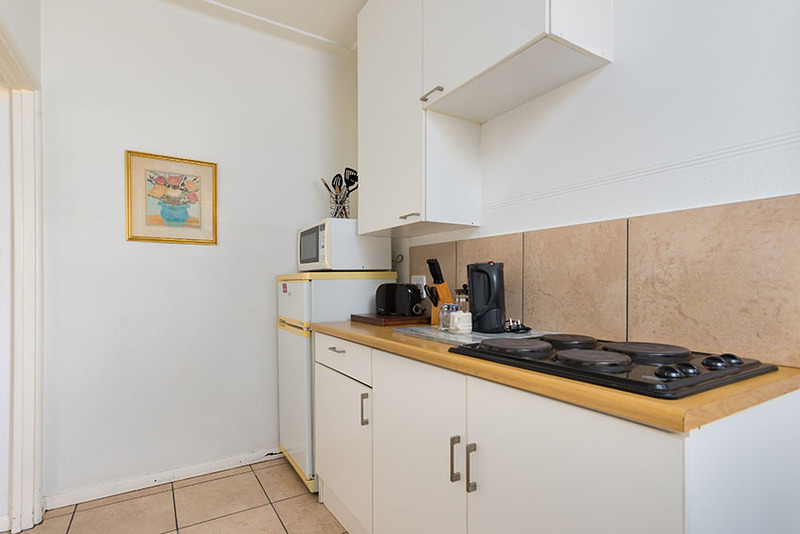 Practically and tastefully decorated, sunny and bright and situated on the 2nd floor, this bachelor apartment in Green Point has a Queen bed, to sleep a maximum of 2 people. 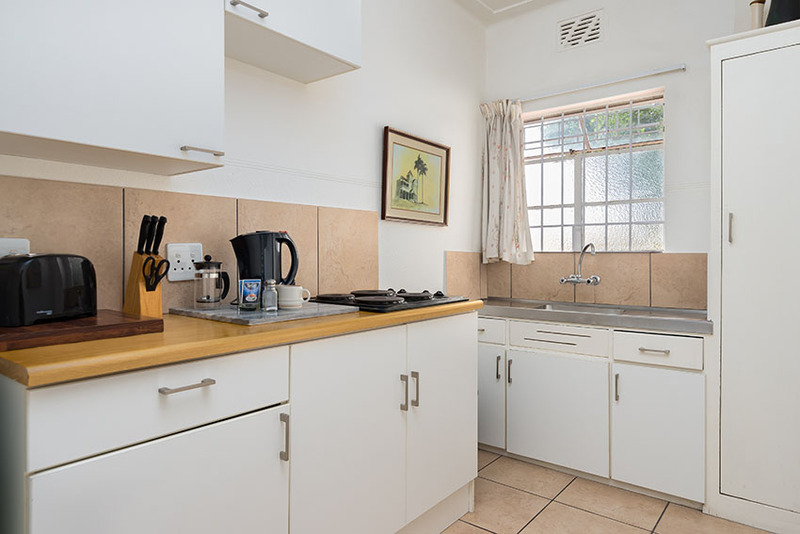 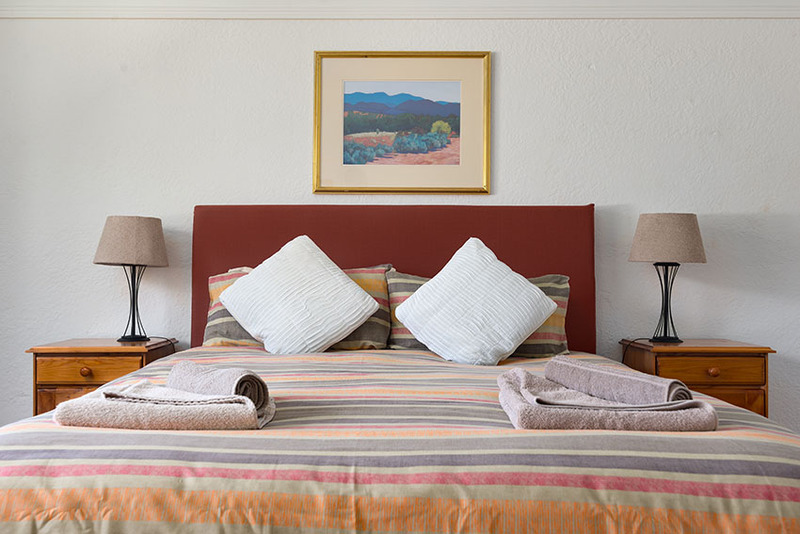 It has an open plan living and sleeping area with Dstv, DVD player & stereo, separate fully equipped kitchen and separate bathroom with shower. 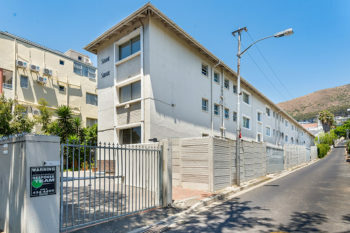 There is good security access to the building and plenty of on street parking available. 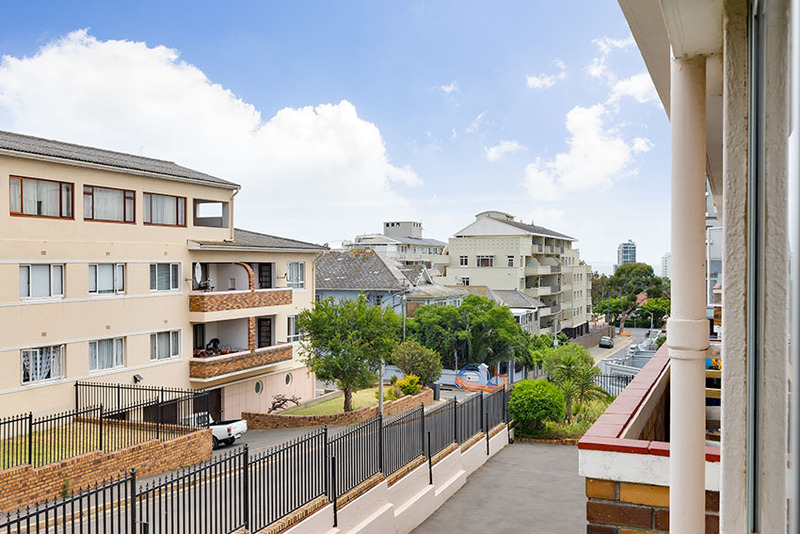 It is ideally situated within easy walking distance of Cape Town’s city centre, the V & A Waterfront and the Sea Point and Mouille Point promenades. 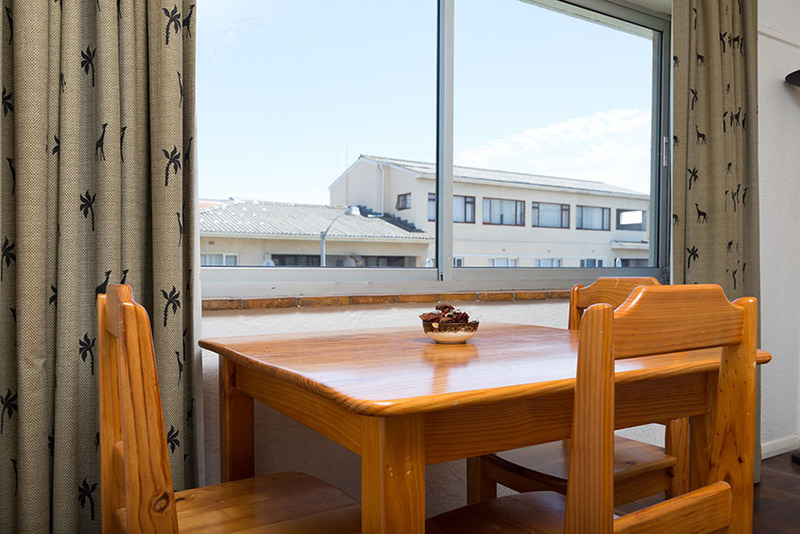 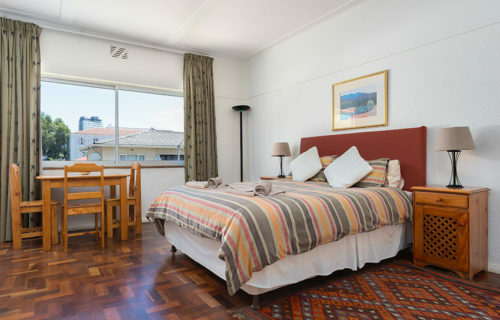 There are also numerous café’s, restaurants, bars and shops just down the road from this bachelor apartment in Green Point. 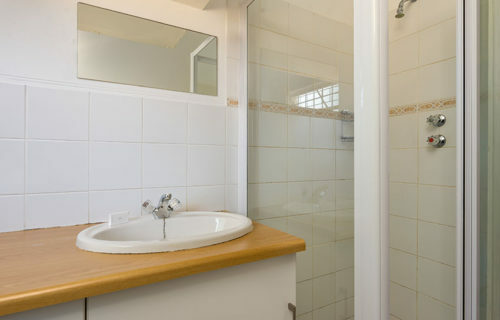 There is also a popular gym right across Main Road, for those who like to work out.